Authors, like their characters, need to move on. There comes a point in any series when the creator decides that they have said all they want to about a particular set-up. There is a danger that this will leave disappointment in the hearts of their readers. At the same time, a new set of characters and problems can rejuvenate both readers and writer. 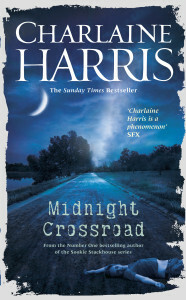 Charlaine Harris began her career writing crime novels but her popularity didn’t really take off until Sookie Stackhouse hit the scene. Now, with Sookie’s story told it is time to move on. 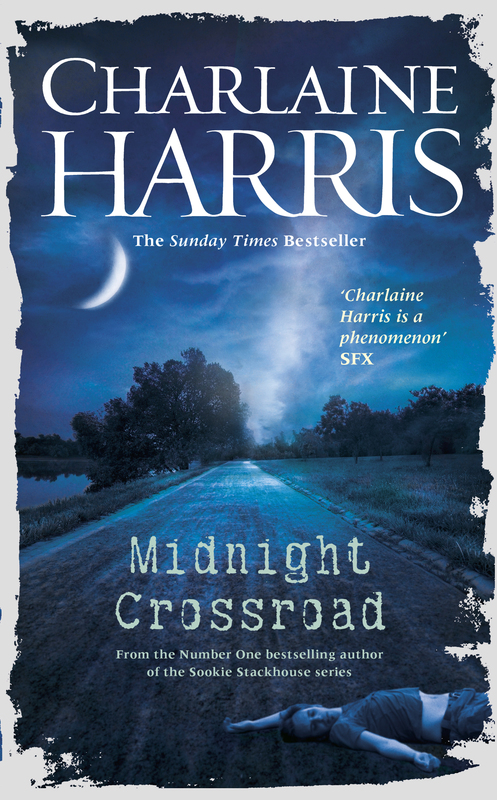 Harris hasn’t completely abandoned the world where supernatural beings live side by side with humans but with Midnight Crossroad she has taken a new approach to that scenario. Readers familiar with the ‘Grave’ series, featuring Harper Connelly may remember Manfred Bernado. He is an online psychic. You email your problems to him and he uses his talents to suggest the best solution. He isn’t exactly a fraud but his abilities don’t work well over the internet. 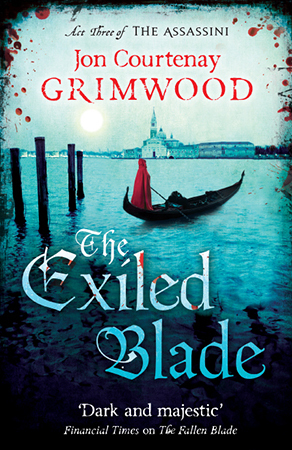 At the start of this novel, he has just moved to the very small community of Midnight. It consists of a number of buildings fronting both sides of the roads that cross there. As Manfred settles in, we are introduced to others that have made their home here. None of them are ordinary. Bobo Winthrop owns the Pawn Shop and is Manfred’s landlord. Two others have apartments in the basement of the shop. Bobo’s girlfriend has recently left him. Living opposite a running a New Age/ Magic Shop is Fiji who shares her house with Mr Snuggly, a large marmalade cat. Manfred quickly gets to know his new neighbours and when Fiji suggests a picnic expedition, he is included in the party. It is during this expedition that the body of Bobo’s girlfriend is found, leading to all kinds of complications for the community. This book is a radical departure from Harris’s usual work. For instance, this is a third person narrative from multiple viewpoints rather than the single, first person female of the other series she has written. As a result, it doesn’t have the immediacy of previous books but has the advantage of being able to see events from different angles, allowing the reader to gather information from several sources instead of being handicapped by the single knowledge source. Individually, I like the characters and their quirkiness. I like the set up but somehow, this didn’t engage me as much as I had hoped. One of the things that threw me out of the story was realising that Manfred was much younger than his style suggested to me. Then, perhaps there were too many odd characters to get to grips with at the same time, whereas a single viewpoint character would allow the reader to explore the community along with the newcomer. Approached the way Harris has chosen, I felt that there were things the others knew about their neighbours that I wasn’t being told about. The most engaging character is Fiji and having the story related from her viewpoint all the time would have been refreshing. Still, this is only a first volume. There will be others and as Harris appears to be feeling her way with this venture, the novel will probably bed-down as we become more familiar with Midnight’s inhabitants.